2018 Distinguished Alumni Award recipient Corey Gray ('97, Physics & Applied Mathematics) will be speaking about LIGO, how he connects his Native culture to science & astronomy, and his experience at Humboldt State University. 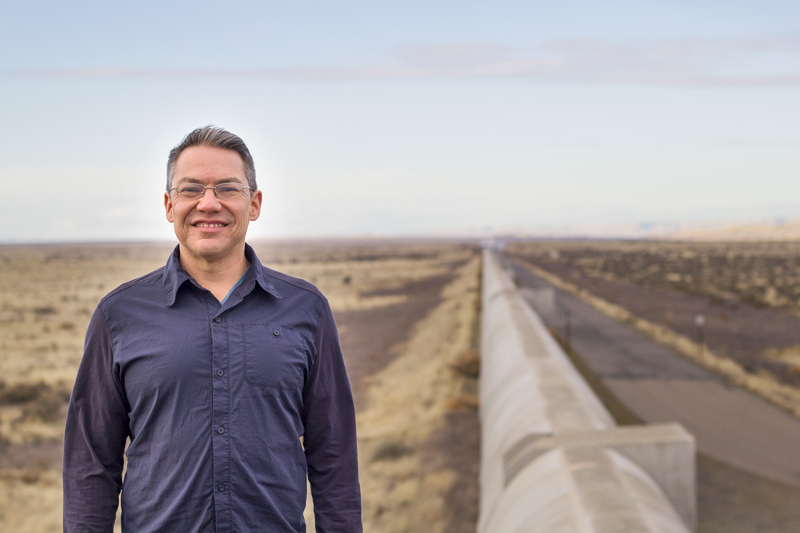 A member of the Siksika Nation (Northern Blackfoot) of Alberta, Corey Gray (‘97, Physics & Applied Mathematics) currently supervises the operator crew for the Laser Interferometer Gravitational-Wave Observatory (LIGO) in Washington, where he’s worked since 1998. He was part of a team that directly detected gravitational waves from the collision of two black holes 1.3 billion light years away. The discovery, which supports Albert Einstein’s General Theory of Relativity, won the Nobel Prize in Physics in 2017. As an HSU student he was an active member of the Indian Natural Resource Science & Engineering Program (INRSEP), American Indian Alliance, and HSU Student Drum. Through INRSEP, he made a deep connection with his heritage. “I really appreciated the opportunity to learn about my Native background,” Gray says. His commitment to community continues today. Recognizing the need to recruit Native American youth into STEM fields, he serves as a positive role model for underrepresented youth. He also recruited his mother, Sharon Yellowfly, to translate LIGO press releases into the Blackfoot language. He is an active member of the American Indian Science and Engineering Society, and the Society for Advancement of Chicanos/Hispanics, and Native Americans in Science.